Why are we demanding jobs or income at the G-20 Economic Crisis Meeting in Pittsburgh in September? 30 million people in the U.S. are unemployed or underemployed – We say NO! It’s a group of Treasury officials and central bankers from 20 countries, the International Monetary Fund and the World Bank. Its goal is to protect bank profits, whatever it costs the people of the world. The U.S. delegation is led by Treasury Secretary Timothy Geithner and Ben Bernanke, head of the Federal Reserve System (The Fed). They organized a bailout of the banks, insurance companies and stock brokerages that totals $12.6 trillion--or $42,105 for every adult and child in the U.S.
* How much is a trillion dollars? It is 1,000 billion. And a billion is 1,000 million. The Federal Reserve controls this money, yet most people have never heard of it. The Fed has seven governors, all bankers, appointed by the U.S. President for 14-year terms. George W. Bush appointed Bernanke Chairman of his Council of Economic Advisors and then head of the Fed. The Fed operates in secrecy, even from Congress, yet makes decisions affecting whether we work, have homes, or eat. Geithner, the former chief of the NY Federal Reserve Bank, worked with the Fed under the Bush administration to devise the bank bailout. He invented the Troubled Assets Relief Program (TARP) and eight other programs to funnel taxpayer money into the banks. His top aide is from Goldman Sachs Bank. He changed bank regulations to prohibit congressional audits of the Federal Reserve. Who is representing the people at the G20 conference? No one! * $12.6 trillion in handouts, loans and guarantees. * Bonuses: Since the bailout, six banks that got our money are giving $74 billion in bonuses – double last year’s. * Who got bailed out: Citigroup, AIG, Goldman Sachs, Lehman Brothers, Merrill Lynch, Bear Stearns, Morgan Stanley, Wells Fargo. Some have now merged into larger, more powerful monopolies. * Result: The banks are making huge profits again and concentration of wealth is in fewer hands. Instead of more regulation, they demanded and got less. The UN says just 500 rich people in the world earn more than the 416 million poorest people, and this is getting worse. * Instead of creating jobs they are demanding speedups. Corporate profits go up; wages go down and jobs or hours decrease. This is less than one-thousandth of the $12 trillion the banks have received. Under the American Recovery and Reinvestment Act of 2009, most of this went to state unemployment insurance programs or job training programs—for JOBS THAT ARE NOT THERE. Just $25 a week went to those receiving unemployment insurance. * Result for us: 30 million people in the U.S. are unemployed or working involuntary part-time. Wall Street admits unemployment will be permanently high. Unlike other times when workers were called back, millions of jobs have been terminated. Others have had their hours cut. There are fewer jobs now than in 2001, although 12 million new workers have joined the labor force. * Fewest young men have jobs in 61 years of record keeping. * Teenagers age 16-19 suffer 78% unemployment. * For youth and people of color, this is worse than the Great Depression. * Foreclosures are continuing at record levels this year. * People are running out of unemployment benefits. * Personal bankruptcies are up again. * Retirees have lost 22% of their benefits, forcing seniors to work--but there are no jobs. Will going to Pittsburgh make a difference for me or my family? We are demanding a public jobs program and forcing corporations to hire so everyone in need is guaranteed a livable income. Only a mass movement of the people on the march, holding protest meetings and organizing in our communities, schools, unions, and places of worship, can change our lives. We must represent ourselves. It’s not easy, but it can be done. You can start by bringing friends together in your home. You can invite an organizer from the Bailout the People Movement. Then you can do your block, your neighborhood, your workplace, school or place of worship. If you have a job now, you can only protect it and your wages and benefits by joining the movement for jobs. With millions out of work your boss will use the competition among workers to get cheaper labor to replace you, make working conditions harder, or lower your wages. 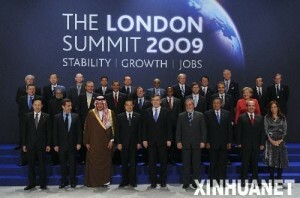 The G-20 bankers come together to make profits off the backs of the world’s people. Our lives are all connected now. Unemployment anywhere in the world is unacceptable. At the time of the G-20 Pittsburgh conference there will be protests in cities worldwide. We can compete against each other and die, or unite and have a better life now and for our children. A job is a right! Join the March for Jobs, Pittsburgh, September 20!